My name is Tseronis Constantinos and I deal with breeding cane cosro. My interest in this breed began in 2004. My personal search for a loyal, dynamic, friendly, active and a guard dog was the main criterion for the selection of this particular breed. I obtained my first cane corso from a kennel in Italy. Living with him urged me to deal with breeding in a professional level. The primary objective from the beginning was to strengthen the breed level morphology in Greek territory and expand overseas. 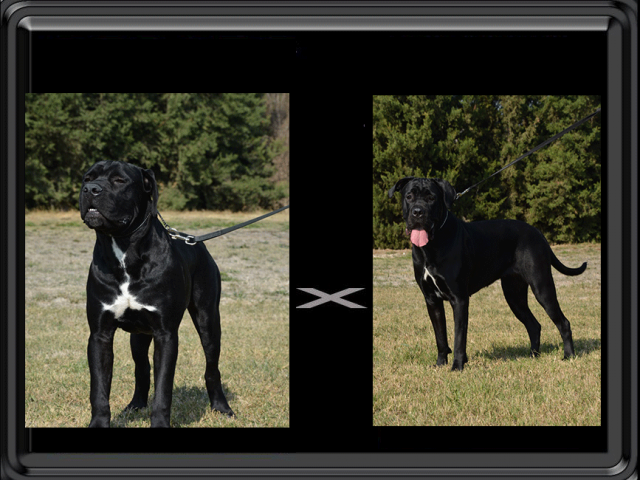 The mating process is a cautious choice dog ( global –paneuropean champions) that will reproduce the best possible features for the preservation and the maintenance of the breed cane corso. This specific energy has been rewarded by Royal Canin, one of the largest manufacturers of dog food. 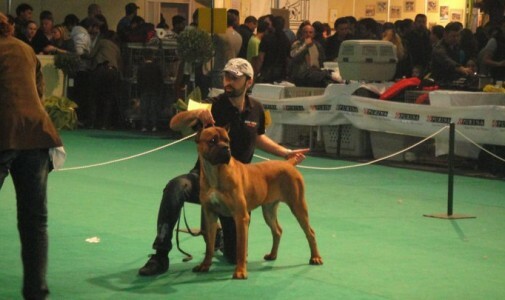 The RC chose me as one of the three best kennels in Greece, sponsoring the kennel in exhibitions abroad. 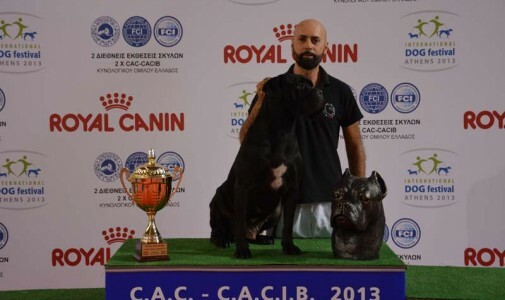 Another important and innovative action of the kennel FORZA DI RAZZA was the achievement of the first sale of cane corso kennel abroad, the known breeding Timoniere Kennel. 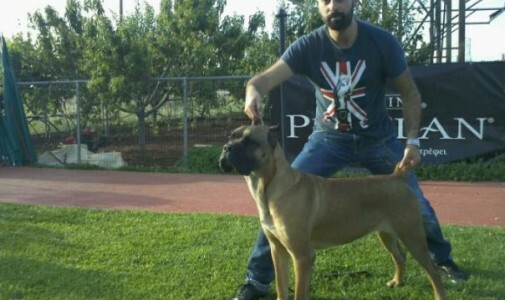 A special recognition of the kennel was the distinction of our dog in the third position in a global morphology competition, which made ​​us the first kennel cane corso with such distinction in Greece. In summary I would like to thank the people who supported me and reinforced this effort over the years. Those who acquire one of the dogs of the kennel are my friends and belong to our ‘ family ‘. It is very good dog-guardian because he is careful with strangers, in the householder however he is faithful. It does not leave never from his householder and has constant character. He is active, kinetic, worthy confidence and has self-confidence. It loves the children of family and it can defend each member of house if he needs. It is calm dog in general. 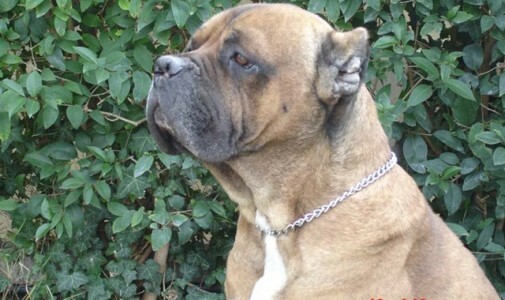 It is well muscled and less bulky than most other Mastiff breeds.